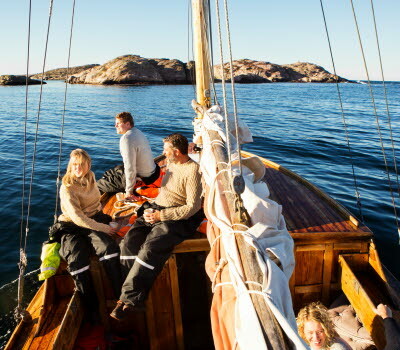 Connecting the Baltic Sea and the Kattegat at the Swedish west coast, the Göta Canal is so much more than just a waterway for holidaying boaters. The areas alongside the canal are full of life, with loads to do and experience – throughout the year. Almost 200 years old, the Göta Canal starts at Söderköping near Sweden’s east coast. It meanders through the countryside, past smaller lakes such as Roxen and Boren, before reaching Lake Vättern’s eastern shore. Then from the western shore of Lake Vättern, via lakes Bottensjön and Viken, the canal winds its way to the village of Sjötorp at the east coast of Lake Vänern. Between the east coast and Vänern it passes through dozens of locks. 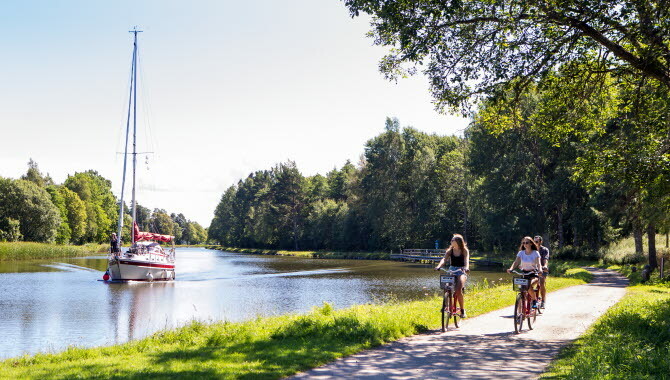 The largest construction project in the country’s history, the Göta Canal is impressive whether you travel in your own boat, by canoe, or join a cruise on one of the two canal boats. But it’s on dry land that you find the real diversity of experiences. 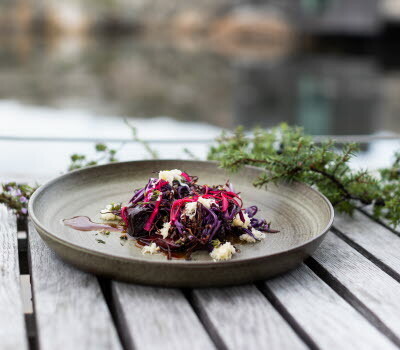 En route through Karlsborg, Töreboda and Mariestad you pass picturesque communities full of activities, events and sights for almost any taste. All nestled in beautiful countryside and the unique canal atmosphere. If you’re a fan of fishing there are plenty of lakes and streams where you can try your luck, whichever method you prefer. Or if you feel like a dip there’s a wide range of options for swimming. For children some good spots are Vitsand in Tiveden, Barfoten in Otterbäcken and Hattervik in Torsö, not to mention the pools at Töreboda campsite and Ekudden in Mariestad. An attractive destination for the whole family is Norrqvarn Hotell & Konferens, 20 kilometres north of Mariestad. It’s an unusual facility where you can stay in “troll stumps” and giant mushrooms, and the little ones can play in the Children’s Mini Canal. With a little luck they might even see Baby Nessie, the sea monster. Looking for a more active holiday? The area around the Göta Canal offers loads of more or less fast-paced activities. For instance you can improve your handicap at one of the nine or 18-hole golf courses. 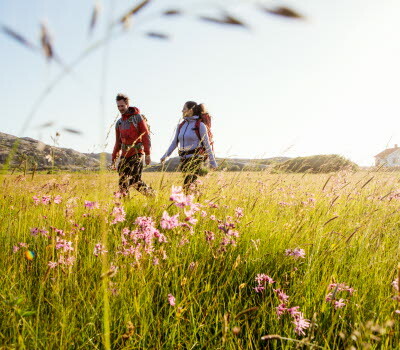 If you’d rather discover the local countryside you can do it on horseback or by foot, on one of the many trails and gravel roads that criss-cross these magical forests. Pristine Tiveden National Park and the beautiful Högsåsen region ten kilometres northeast of Hova are particularly fascinating. Or why not take a railway handcar along the 40-kilometre Torved track, starting in Gullspång? The easiest way to experience life by the canal is probably on a bicycle. On the old towpath you can pedal along at your own pace, enjoying the pretty scenery and stopping for a picnic in the grass while the boaters gently float by. If you don’t have your own bicycle you can rent one, or buy one of the various combined cycling-cruising packages on offer canalside. You never need to worry about speeding cars – the route between lakes Vättern and Vänern is completely car-free. However the countryside along the Göta Canal isn’t only about nature. It’s packed with cultural and historical sites from past centuries. You can relive the adventures of Karlsborg Fortress, or see the reconstruction of the extraordinary Södra Råda Church, a Catholic church from the 14th century. 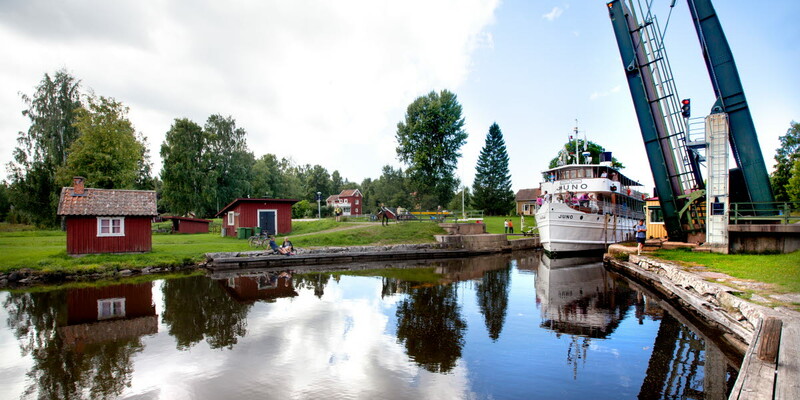 Along the Göta Canal it’s also possible to relax and listen to live music, take in a few art galleries and museums, or enjoy a good meal. And of course you can watch the boats passing through the locks – great on a lazy afternoon. 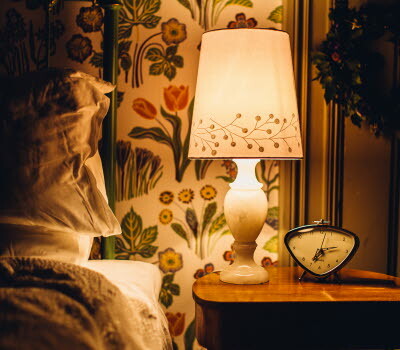 If you start to find your cabin a bit cramped, there are all sorts of hotels, guest houses, hostels and campsites along the way. The waterway is kept open from May to September, but the area around the canal is very much alive throughout the year. For fishing there are many streams and lakes, and during cold winters the canal is a paradise for long-distance ice skaters and other winter sports lovers. 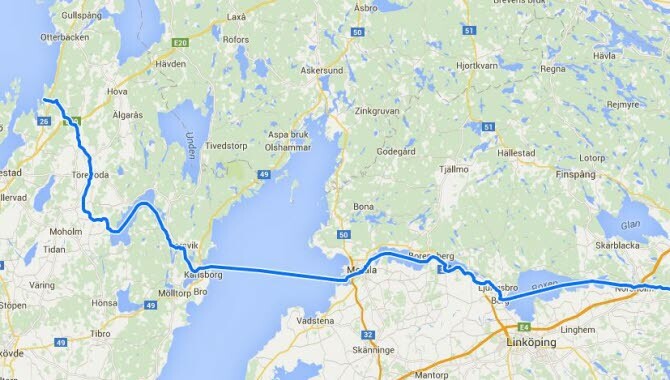 The idea of a canal across Sweden was first discussed in the 16th century. Baltzar von Platen finally got the project underway, with the first excavations beginning at Motala in 1810. The Göta Canal was ready for service 22 years later, on 26 September 1832. A total of 58,000 soldiers worked on the excavation of the 190 km canal, which is connected by 58 locks and has an elevation change of almost 92 metres. The Göta Canal, together with the Trollhättan Canal and the Göta River, form a 390 km waterway from the Baltic to the North Sea.